Taiwan Economic News received information from its industry sources on CDMA version of the iPhone 4. The newspaper reveals that Foxconn, which is a subsidiary of Hon Hai Precision Industry Co., will ship the CDMA-enabled iPhones 4 to Apple in the next year. 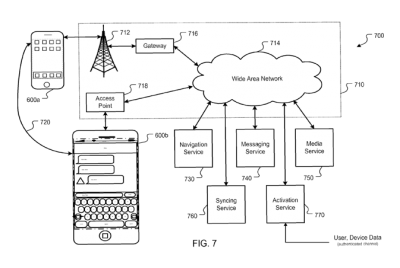 It is also suggested that the device will be offered by China Telecom and Verizon Wireless. But Foxconn will not be the only producer of CDMA iPhone. Rumors had it in May that Pegatron won the contract for the device and that it will allegedly start the production in November. Foxconn's share of the order is declared to be 15 million units. 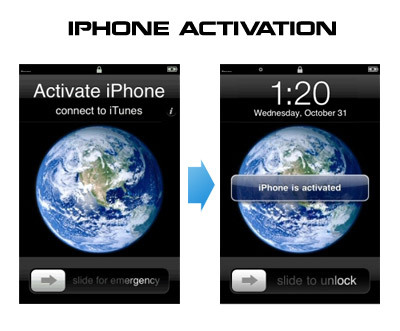 Yesterday wireless carriers Vodafone and O2 started offering the iPhones in Germany. Previously Apple's handset had been carried exclusively by T-Mobile. Nowadays the carrier continues to sell the device. The iPhone is offered in a variety of plans and contracts; one of them even allows to buy the phone for 1 euro. 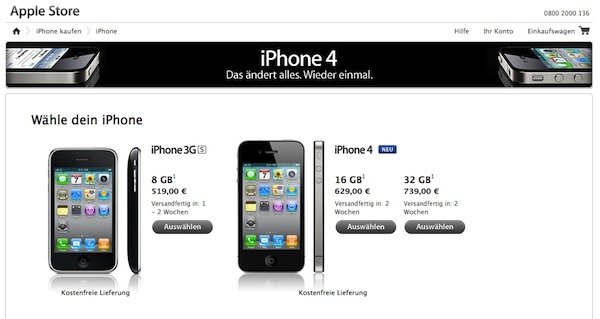 German version of Apple's Online Store also started offering iPhone 4 and iPhone 3GS, which are contract-free and unlocked so they can "work with the wireless carrier of your choice". The site also reminds the iPhones work only with GSM networks, and the latest generation of handsets requires a micro-SIM card. 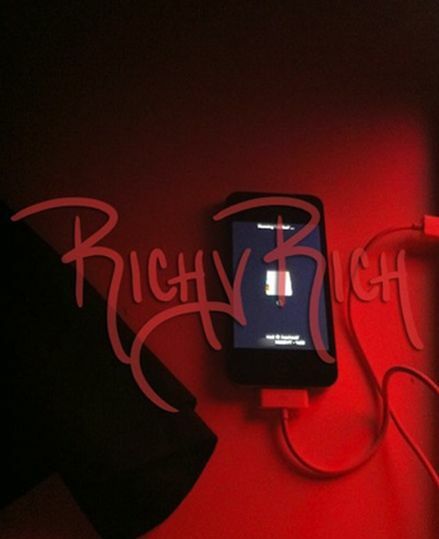 The bloger Richy Rich obtained some interesting photos of prototype CDMA iPhone in Device Verification Test phase. He believes that pictures show us the device run by the “Inferno” operating system. Same one was seen on photos and videos of iPhone 4 prototype. It is known that the rumored CDMA-variant of the iPhone 4 has code number "N92DVT", which you may see on one of the shots. 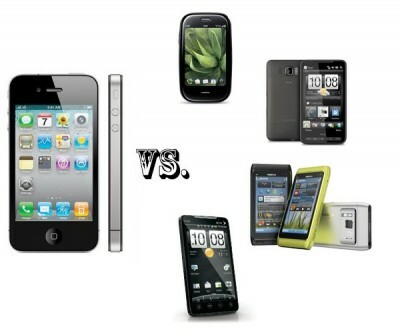 New iPhone version is expected to be universal, support both CDMA and GSM standards. 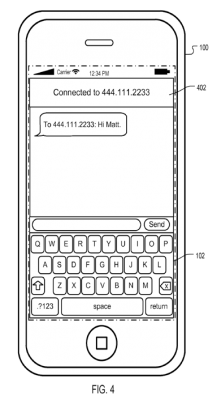 iPhone 4 Variation Hits Final Field Testing Stage? iPhone 5 at Engineering Verification Test Stage? 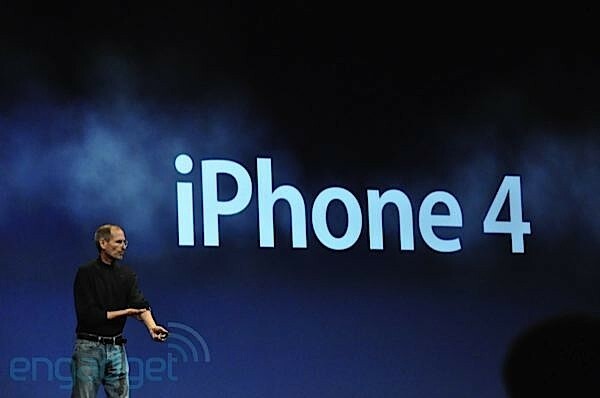 Boy Genius Report’s source claims that Apple almost completes the final field testing of a tweaked version of the iPhone 4, known as "iPhone3,2", which is expected to be the Verizon or CDMA-compatible iPhone 4 model. The iPhone3,2 will have similar SIM card slot to iPhone 4 slot, which is not suitable for CDMA phone. Perhaps, Apple is going to release model, which will provide support for both GSM and CDMA and will be compatible with all carriers. The source also reports that the fifth-generation iPhone has entered the "engineering verification test" stage, which the CDMA-based iPhone 4 completed in May. 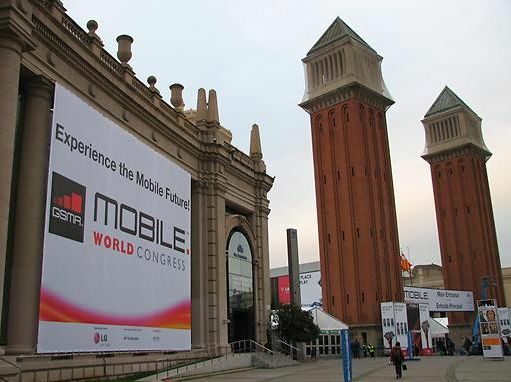 The biggest mobile trade show in the world, the Mobile World Congress, will host the first-ever Macworld Mobile next February in Barcelona, Spain. 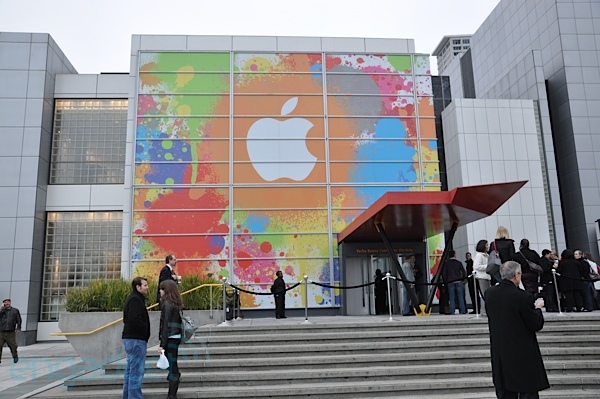 The new Macworld Mobile will be focused on developers who create applications for the iPhone, iPad and iPod touch. The event is scheduled for Feb. 14-17, 2011, in Barcelona. UPDATE: Now you should use RedSn0w, PwnageTool or Sn0wBreeze to activate. A group of hackers found a security flaw on the web servers of AT&T and after obtaining users’ 3G iPad SIM addresses (also known as ICC ID) from the web made an automated script attack to receive their email addresses. According to Gawker report, now hacked users may "be vulnerable to spam marketing and malicious hacking". SIM addresses are easy enough to obtain, because many people have already posted their ICC ID numbers in photos published on Flickr for instance. But most of them have their e-mails published too, so it is likely that they have already received such spam. 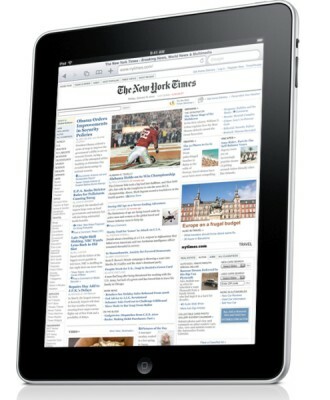 Apple iPad edition with 3G uses Micro-SIM standart. Steve Jobs never said a word about this feature on iPad presentation, which seems pretty strange. 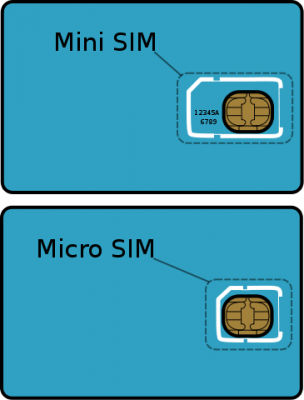 Micro-SIM, also known as 3FF or 3rd generation SIM card, isn’t supported yet by any iPhone or other popular devices. 3FF SIMs were developed to fit into devices that are too small for a regular SIM. Regular SIM-card has a 15 mm x 25 mm size, while Micro-SIM measures 12 mm x 15 mm. It is still not presented in North America, but T-Mobile and AT&T inform that negotiations to get them are on their way since these companies support the iPad with different data plans. But what is the reason of making Micro-SIM support in iPad? Maybe it is necessitated because of a lack of space in the device that already has a double size of an iPhone? Also it is very likely that Micro-SIM will be integrated into the 4th generation iPhone, and then what would Apple do with all that extra space? This is the first video hands-on of Nexus One, best known as the first Google Phone to be released in early 2010. In the movie we can see the Android Market, the speed of the processor, quite functional browser, the ability to open documents, and even Google Maps Widget.